The Sun Mountain Alpine Reversible Wind vest has been upgraded with a zippered closure and ruched side panels for a flattering fit. 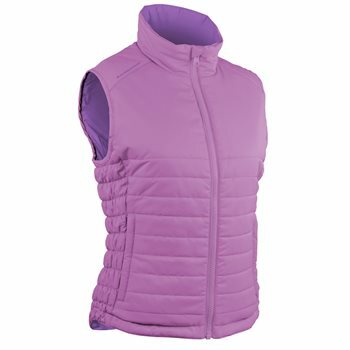 The vest offers poly-fill quilting to keep you warm; a weather-blocking, stand-up collar and a DWR finish for water and stain resistance. The Alpine wind vest offers a reversible design; a slim cut; a stand-up, zip-through comfort collar and zippered hand warmer pockets.